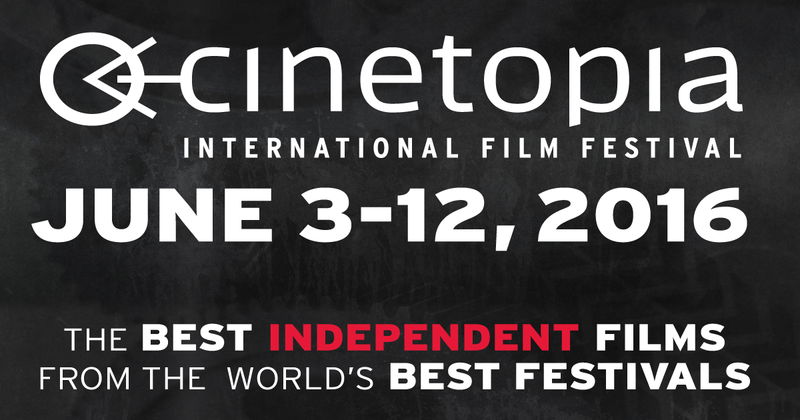 Day Five of the 2016 Cinetopia International Film Festival and MCB spent it at Cinema Detroit. Adapted from a Swedish award-winning young adult novel by Jessica Schiefauer, Girls Lost (Pojkarna) follows three outcast teenage girls, Kim, Bella and Momo, who face near-constant bullying by their classmates. With only each other for support, the girls do their best to avoid the persecution. 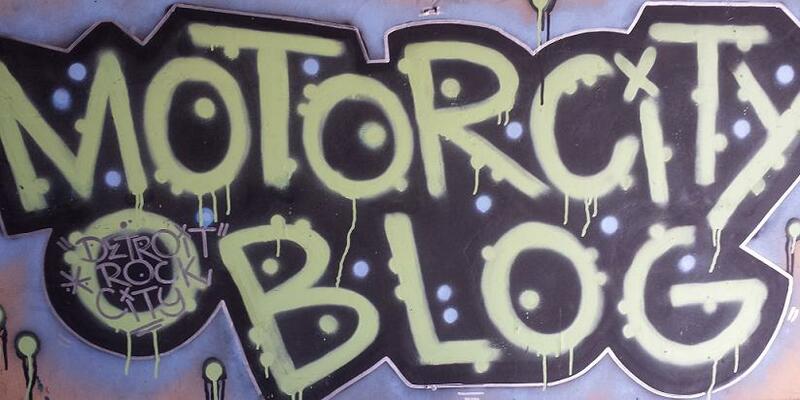 One night, the trio discover a mysterious, oozing flower mistakenly sent to Momo, whose greenhouse is the girls’ haven. Urged on by each other, they taste the strange juice, only to undergo a sudden and supernatural transformation into boys. Taking this opportunity to disappear into these new creatures – boys – the trio finds they are welcomed effortlessly, experiencing a world they have never known. Potential danger emerges when one of the trio finds herself clinging too tightly to this new, temporary, identity. With incredible performances by its young stars, and skillfully directed by Alexandra-Therese Keining. "Body Swapping" should be a film genre all in itself. There's been many films who have tackled the idea including various ones that have played on the theme of gender switching. Girls Lost does bring a fresh twist to the genre though. This teenage girls coming of age tale has the lead characters questioning their gender as well as their friendship when they do acquire the ability to change from girls to boys. The girls male incarnations start to hang out with the very guys who bully them at school as females. Two of the three girls eventually get turned off by their new found friends/enemies, while the third loves hanging out with the guys and one particular guy that she has feelings for. Some things are too good to be true though and Girls Lost does a good job of telling the tale. The film has beautiful cinematography and is a treat for the eyes. 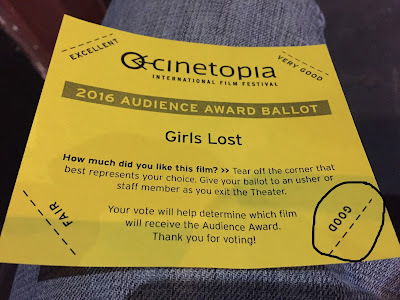 This particular screening I attended was at Cinema Detroit and the seating situation I mentioned in one of my previous reviews came back to bite us in the audience this night. The film is foreign with subtitles and from experience from my previous night at the cinema I knew the best seat in the house due to the same level seating would be up front. I took a front row seat instead of my usual back row seat for this screening. The Cinetopia host for the evening did bring the subtitle issue up to us in the audience and had recommendations for better viewing. The film started and everything was fine, but 10 minutes into the film they stopped the film and turned on the house lights. The host mentioned they would be taking a break to change the aspect ratio so they could bring the picture up higher on the screen so the subtitles could be more visible for everyone. The break ending up being about 15 minutes and at this time another Cinetopia associate took the mic and started a discussion with us the audience about some of the films we have seen at the festival, how many of them, and some of our favorites. It was nice to hear from the audience and fellow passionate film buffs. Cinetopia is truly a shared experience much like a big music festival is. I myself have been stopped by complete strangers several times during the festival to talk about films, a particular T-Shirt that I may be wearing, or about my writing. Everyone is very friendly and during this particular break a older woman seated next to me who came to the screening solo like myself chatted it up with me. Eventually they announced that they had another copy of the film which ended up being a screening stream off the video-sharing website Vimeo. Because of this source the quality was substandard, there was a buzz attached to the audio, and a studio watermark kept popping up. Those three factors distracted me from being completely immersed in the film. The only positive may have benefited those seated in the back as the film itself was higher on the screen so the subtitles were more visible for them. I would have preferred it to play as it originally did and was disappointed how we had to settle for a substandard screening of the film. 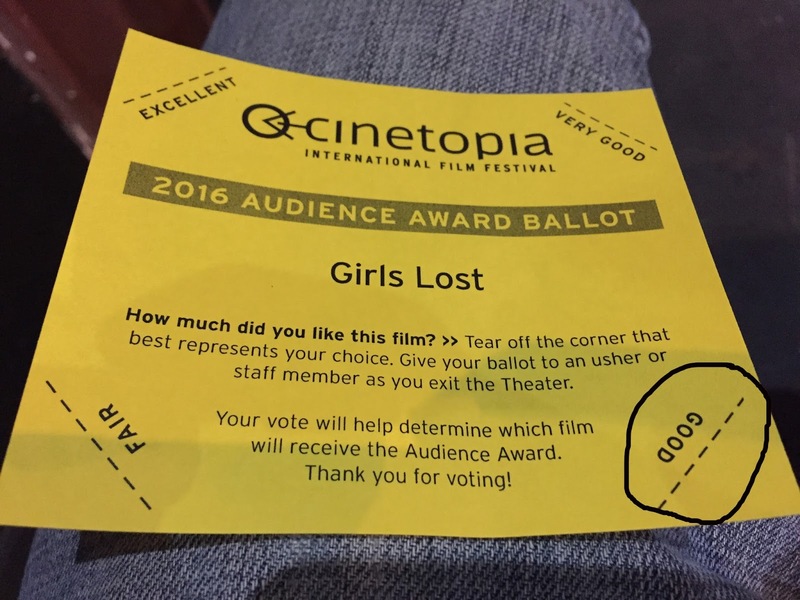 Girls Lost still has a Cinetopia screening ahead and that takes place on Sunday, June 12 at The Michigan Theater screening room in Ann Arbor. 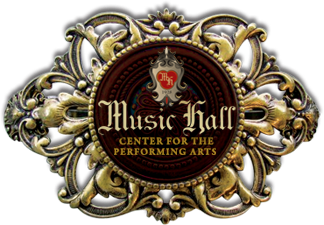 Day Six of the 2016 Cinetopia International Film Festival and MCB spent it at the Michigan Theater in Ann Arbor. SAMANTHA MONTGOMERY is a struggling nurse whose dream is to be a singer and songwriter. In between auditions and open mic nights, she sings her songs on her YouTube channel under her stage name, Princess Shaw. Open about her violent and abusive childhood, she sings on a raw, emotional, and highly personal level, but has yet to be discovered. OPHIR KUTIEL is an Israeli composer and musician. Under the stage name Kutiman, he scours YouTube for amateur singers to mash up with his compositions. Unbeknownst to Princess Shaw, Kutiman is her secret admirer thousands of miles away, and he has big plans for her future. Together, the two strangers on opposite sides of the world – one an African-American woman and one an Israeli man, both energetic and passionate about music – begin to build a song. This soaring documentary captures the beauty and power in music, dreams, and the universal connections between human beings. I had never heard of Princess Shaw or Ophir Kutiman before this documentary, but then again I'm not often in the loop of trendy viral videos on the internet. The synopsis above states that Kutiman had plans for Princess Shaw's future and together build a song. Factually Kutiman builds a song himself using Princess Shaw's vocals taken from a YouTube clip of her singing. He does this by using other musical clips from YouTube and his own equipment. He never credits Princess Shaw besides a link to her original YouTube clip along with 22 other performers on the "Thru You Too - GIVE IT UP" song. The song ends up getting a fair amount of hits and the people of the interweb actually get to create a future for Princess Shaw as it was in their hands (and ears) once Kutiman publicly released it. The documentary starts filming Kutiman and Princess Shaw before they even meet. It shows Kutiman in Israel creating the song as well as giving us viewers a glimpse into his life with such activities as eating lunch and watching TV. Princess Shaw is being filmed under the impression that the filmmaker is doing a documentary on YouTubers and is not aware of them filming Kutiman as well. The glimpse into Princess Shaw's life is a bit more interesting as the camera follows her to work at a nursing home, her recording of YouTube videos with her singing or just talking, as well as a trip to Atlanta to visit family. 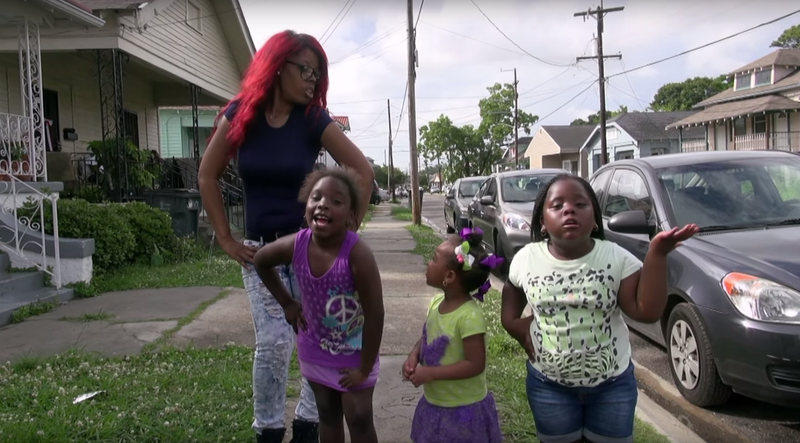 She feels her life in New Orleans is not going well enough for her as she gets all four tires stolen off her truck and performs in a local club on front of an audience of two. Her club performance is great though and it just takes Kutiman's eventual upload of a song to take her life, as well as the documentary into another direction. A uplifting tale is spun and will be enjoyed by those who like to see a underdog win out. Kuitman's highest YouTube upload is the first Princess Shaw track which currently has 2.6 million views and is actually modest compared to many other viral videos out there today. At the time of filming the video had 1 million views and I believe this documentary is the reason for many of the views that followed. Personally the film peaked my interest enough for me to add views to the Princess Shaw and Kutiman songs on YouTube. Samantha Montgomery A.K.A. Princess Shaw herself took part in a Q&A moderated by Drew Waller after the screening of the film. She is the real deal and what you see on the screen is what you get in person. She has a strong personality and is a funny woman. At one point in the Q&A an audience member asked Samantha about her relationship with her Mother who allowed her boyfriend to sexually abuse Samantha as a child. This was told in the documentary, but Samantha offered up more details on stage as she answered the question by sharing the fact that her own Mother took part in the abuse as well. This was a shocking detail and the fact that Samantha was willing to share it with us in attendance speaks volumes of what type of individual she is. She's honest and isn't afraid to exorcise the past to live for the future. Princess Shaw came out to the Lobby of the Michigan Theatre after the screening to meet with the Audience. She greeted anyone who wanted to meet her with a heartwarming hug and was happy to take photos with those who requested. 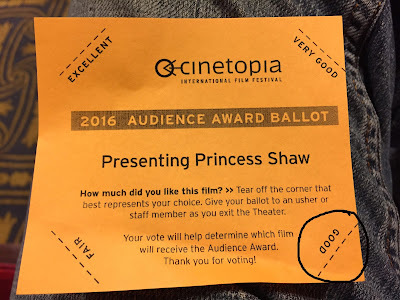 I myself walked away from the screening with a Princess Shaw hug before our picture together as well as her autograph in my official Cinetopia program guide. 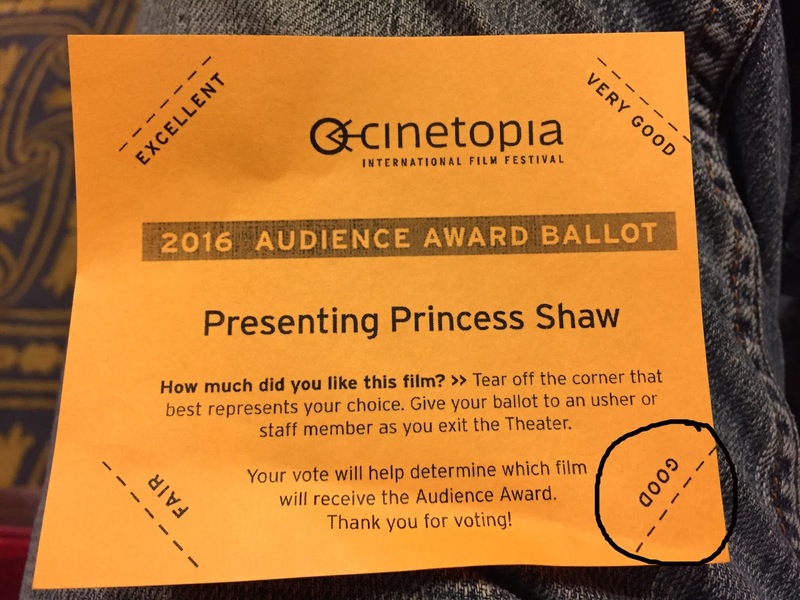 Presenting Princess Shaw still has a Cinetopia screening ahead and that takes place on Saturday, June 11 at The State Theatre (Screen 1) in Ann Arbor. 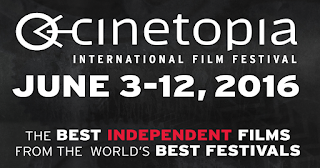 The Cinetopia International Film Festival is running now till Sunday, June 12.